This breathtaking 3 Light Chandelier with Black Finish is a beautiful piece from our Amazon Collection. With its sophisticated beauty and stunning details, it is sure to add the perfect touch to your decor. This breathtaking 6 Light Chandelier with Black Finish is a beautiful piece from our Fetto Collection. With its sophisticated beauty and stunning details, it is sure to add the perfect touch to your dicor. 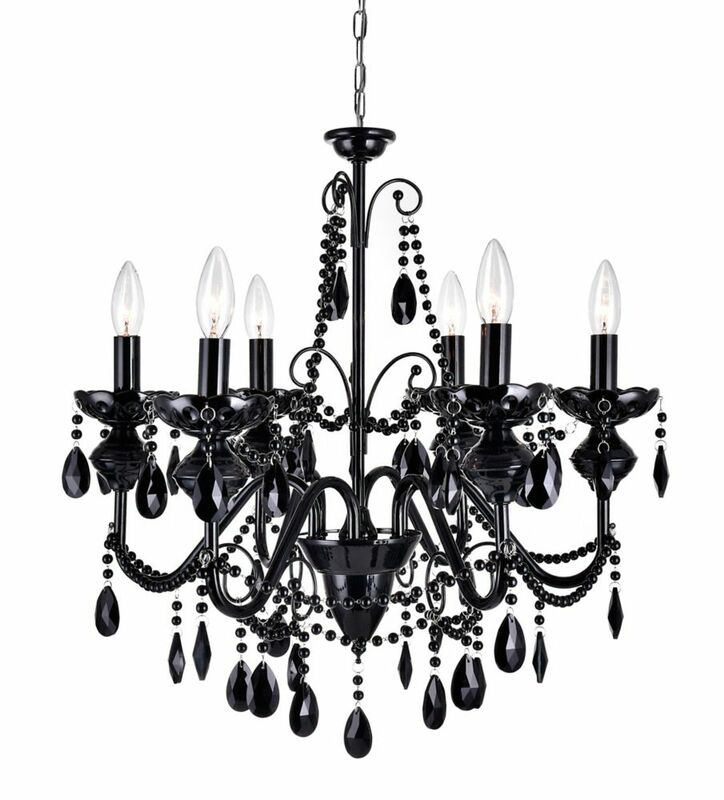 6-Light Black Crystals Chandelier is rated 5.0 out of 5 by 1. Rated 5 out of 5 by Tanya from Amazing Light Fixture!! I purchased this chandelier a couple of months ago and it exceeds my expectations around both appearance and amount of light it provides.